Water and fertilize your trees at the roots, encouraging deeper roots and healthier trees with DeepDrip™ stakes. 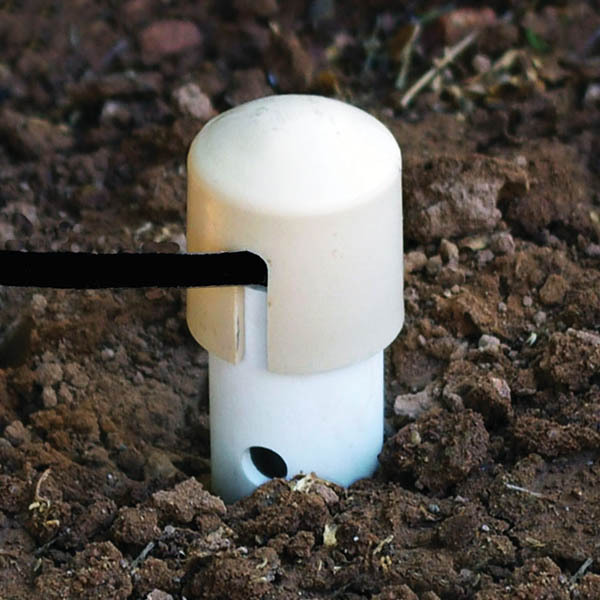 Water gets underground fast, so you can irrigate for shorter periods and save water. They also help aerate the soil, and you can add fertilizer into the shaft to direct nutrients to the root zone. Use the 14″ (35cm) stake for shallow root trees and shrubs, like rose bushes and ornamental trees (or boxed trees). The 24″(60cm) stake is best for most other tree varieties except for palms and similarly deeper rooted trees, which will benefit from the longer 36″ (90cm)stakes. Hunter pressure compensated drippers for use in all Landscape & Agricultural watering systems. Supplied in barbed or threaded inlet for easy installation into low density poly lines.